Hard workers know the struggle of dedicating themselves to their work. They know commitment, long hours and the mental responsibility it takes to complete a task and to complete it well. As a result, seemingly few adults are able to pursue their passions or broaden their horizons by doing things that really set their soul on fire. 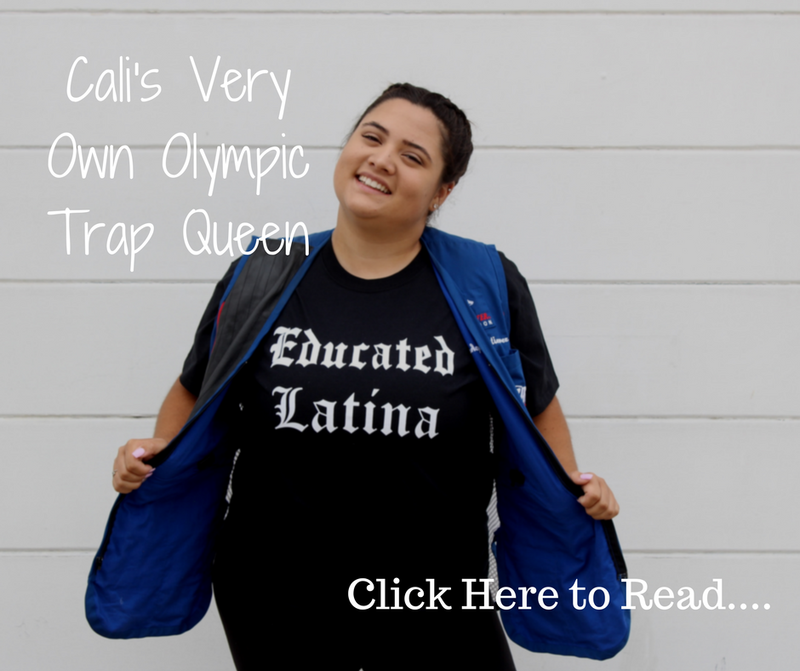 Jasmine Alcala is an inspiring Mexican American Latina who has been able to master both a rewarding career and a soul igniting ‘hobby,’ if you think the word ‘hobby’ does it justice. By day and trade, Jasmine is the head athletic trainer for the Chicago Force, North Park University football team and the North Park Men’s Basketball Team. On her days off, Jasmine is better known as Makeup Jas. 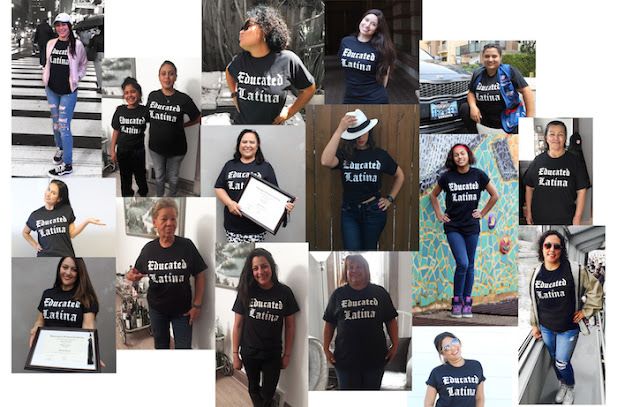 This Latina has been dominating both fields since her days assisting the Lane Tech boys soccer team and even earlier as she experimented with her grandmothers Mary Kay products as a child. 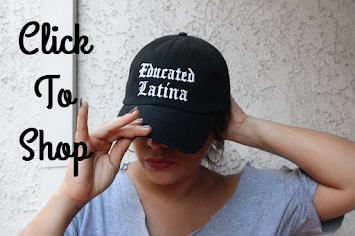 Jasmine’s career choice came to her while working with the soccer team in high school. She knew from there that she wanted to work in sports medicine by working with athletes. She followed this passion throughout high school where it took her to The University of Texas in Austin to study Athletic Training. During school, Jasmine found herself in a completely new environment with many classmates that came from very different situations than she did. She likened this to being from an urban environment as compared to her classmates. To Jasmine, the differences were notable. Jasmine came from very young parents who weren’t able to put together a college fund for her and so she was one of very few students in her Athletic Training program that had to work while they were also in school. She learned how to manage the balancing act very early on with school, clinical rotations and work all at the same time. But she grinded it out and she succeeded. Jasmine graduated from Texas in 2011 and went on to work at North Park University in Chicago where she continues to work today. During her college years, makeup took a backseat but after graduation she was able to pick it up again. She found her way back to the colors and brushes she loved so much. She was able to find her creative side again with beautiful bold looks that she practices on herself then transfers to her models. Since then she has worked on Quinces, proms, graduations, weddings, and many other special occasions. Make up has given Jasmine an outlet for her creative side while also getting to choose how she spends her time. 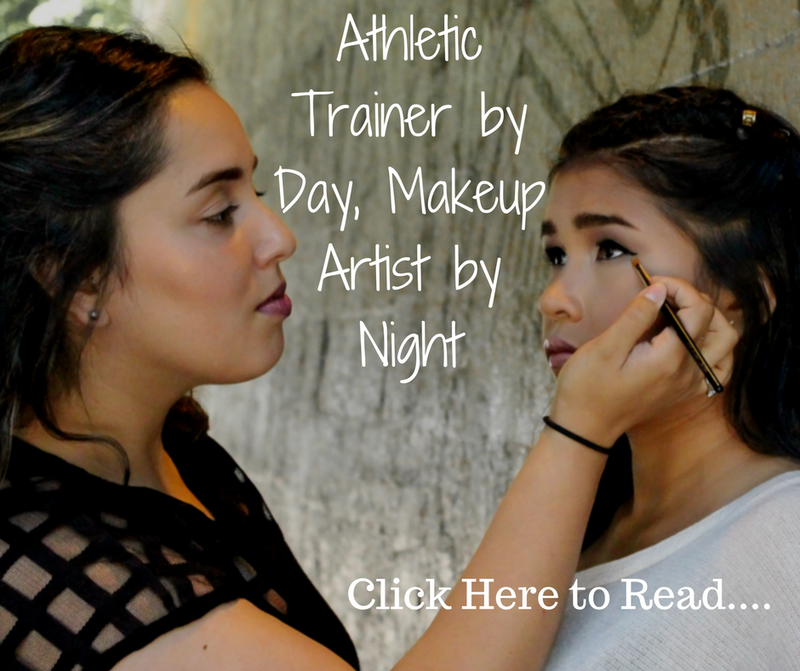 “Athletic Training is on someone else’s time, makeup is on my time.” She says. While on athletic training time, Jasmine has dedicated herself to advancing her career and preparing future athletic trainers in the field. She decided to continue her education while still working full time and enrolled in graduate studies at North Park. Jasmine now has a Masters in Arts and Education. Her day is spent as an athletic trainer as well as a teacher, preceptor and a mentor to her students. The skills that Jasmine gets to use in her field are impressive. 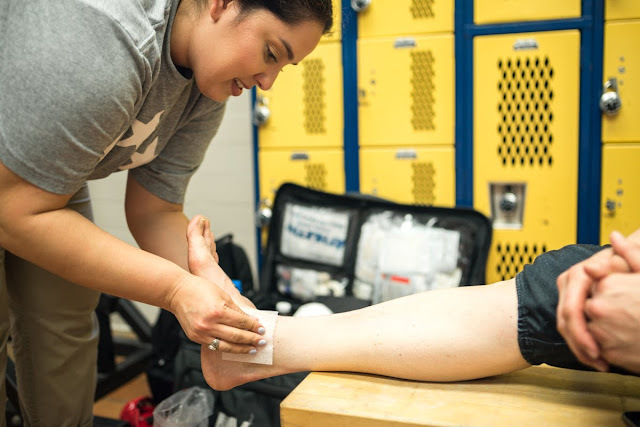 Athletic trainers are healthcare professionals who work in collaboration with physicians to provide preventative services, emergency care, therapeutic interventions, rehabilitation of injuries and more. Many confuse athletic training with personal training but the job and skills are extremely different. Jasmine is able to master all of these skills as a highly qualified athletic trainer as well instruct future athletic trainers to carry on in the field. The balance between both of Jasmine’s passions with her career and hobby are beyond inspiring. Her skills in both fields have flourished as she has worked to dedicated herself to both, how ever different the ways. She’s in a career she loves while also having a creative outlet she loves just as much. What makes Jasmine so inspiring is the hard work, hustle and grind that she has dedicated to both her career and her creative outlet. Her dedication has propelled her to new heights in both fields. When you search through Jasmine's Instagram, you can see the skills she has been able to hone through her makeup practice. The artistry is especially apparent during her annual 31 looks in 31 days of Halloween. With the steady hand it must take to achieve these looks, I would trust Jasmine with my winged eyeliner AND broken arm. 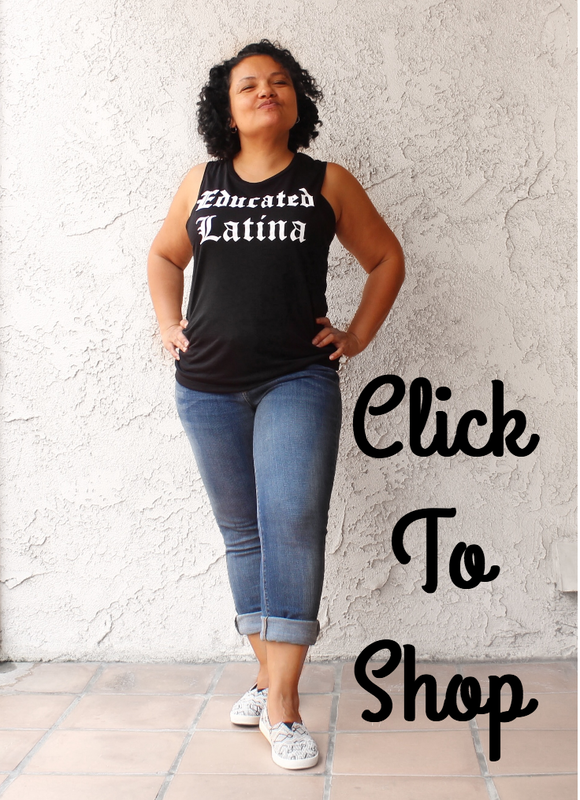 That’s her message for Latinas pursuing education. That’s her message to you.